When I was growing up, I remember one cultural message very clearly: “Look out for #1!” We were constantly bombarded with the importance of putting ourselves first and taught that our personal needs mattered more than anyone else’s. I now know that messaging is untrue, but after a lifetime of hearing it, the words are more deeply immersed than I thought. And now, I am suffering the consequences from the sin of self-sufficiency. 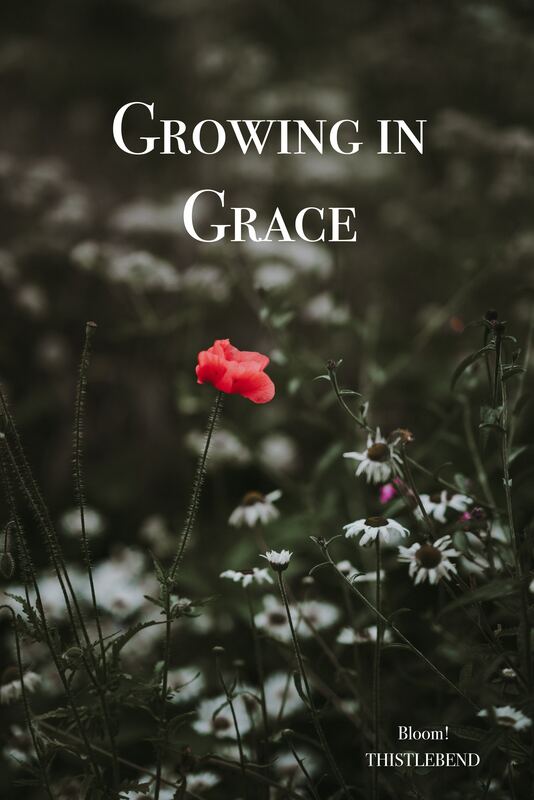 The last two weeks, I have confessed in my “Taking the Truth to Heart” entry how I have looked to myself for strength and wisdom, which has taken my gaze off of the Lord and placed it on myself. I have made decisions and commitments without praying or consulting my husband, and now I am underwater. I’m guessing that the idea that self-sufficiency could be a sin would be either shocking or off-putting to many people. We live in a culture that celebrates independence. We want to provide for ourselves. We don’t want to rely on someone else. But if you think about that long enough, you can see that the root of self-sufficiency is pride: I CAN DO IT ALL. Here is an example of what self-sufficiency looks like for me. I’m asked to be on a committee I know I can help with. I know I have the skills and would be of great help to the people who asked. So, I say yes, on the spot, without thinking about how I will fit in the extra meetings and time requirements. Or, I’m asked to take on an assignment at work, which I also know I can do, and that it will really help my team, so I do it. Or, because I want to meet more people at church and want to study the Bible with my husband, I sign us up for a class at church (when I’m already in a Bible Study! ), that happens to be a discipling class, so we are not only attending a weekly class, we have to find time and energy to pour into discipling someone. Or (last example, I promise), my son requests to change his piano teacher, which is actually a very reasonable request, but I agree to it without consulting my husband or praying over it. His new lesson time is now during the week, and it is one additional commitment I have to juggle. Examining why any of us makes commitments is an interesting exercise. For me, I think there is a feeling of pride that comes with being needed. There is fear of saying no. I loathe conflict, so it’s sometimes easier to go along with a request than stand up for how I really feel. Or, as in the case with my son and his piano lessons, I want to make someone else happy. In Revelation 2, Jesus speaks to His church at Ephesus. He commends them for their deeds, their hard work and perseverance. He recognizes them for enduring hardships in His name and not growing weary. But then he says, “Yet I hold this against you: You have forsaken the love you had at first. Consider how far you have fallen!” (Rev 2:4-5). The Ephesian church had begun to rely too much on themselves and their own wisdom. They had forsaken their Lord. I believe we were created to be dependent upon God. The Bible tells us again and again that our source of strength in life cannot be found in ourselves, “Not that we are sufficient in ourselves to claim anything as coming from us, but our sufficiency is from God…” (2 Cor 3:5). “I am the vine; you are the branches. Whoever abides in me and I in him, he it is that bears much fruit, for apart from me you can do nothing” (John 15:5). “It is the Spirit who gives life; the flesh is no help at all. The words that I have spoken to you are spirit and life” (John 6:63). “In all your ways acknowledge him, and he will make straight your paths” (Proverbs 3:6). So, what are the consequences to being overcommitted? Most of us know them. I constantly feel rushed. I’m working against time. Inner peace is fleeting. I’m tired, not prioritizing well, not taking care of myself. Because I’m a chronic pain sufferer, my pain has flared. The worst part (for me) is that if I feel over-done, I start to check out mentally and emotionally and then I think…where is God? I feel alone and isolated because my capacity to engage and connect with anyone (even the Lord) has shrunk. For the time being, I am stuck in a season of over-commitment. I have to ride it out. I am grateful the Lord brought this sin to my attention, because what was once in darkness is now in the light, and in the light, there is healing. I have confessed my sin and am praying the Lord will grant me wisdom as I face the consequences of my sin. I know He is close, and I know He will make a way for me to endure. My verse this week is: “Set your minds on things above, not earthly things” (Col 3:2). This verse reminds me where my real source of strength is.